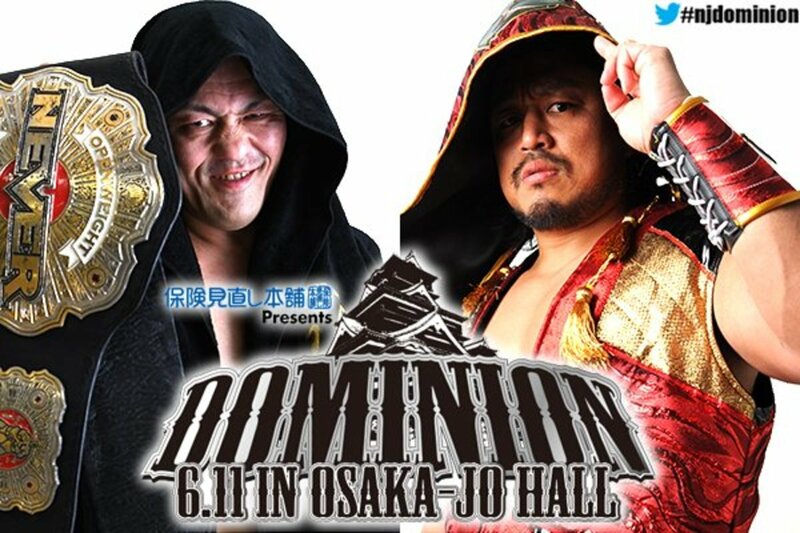 In addition to announcing the schedule for the Best of the Super Juniors tournament, New Japan Pro Wrestling also revealed more matches for the upcoming Dominion card last night. Minoru Suzuki will defend the NEVER Openweight Championship for the first time in a lumberjack match against Hirooki Goto at the show. Members of Suzuki-gun and Chaos will presumably be at ringside for the match. Suzuki previously defeated Goto to win the title at a show late last month prior to NJPW's Wrestling Toyonokuni and Dontaku events. Two tag title matches have been announced for Dominion as well. War Machine will put their IWGP Tag Team Championship on the line against Guerrillas of Destiny, and The Young Bucks will challenge for Roppongi Vice's IWGP Junior Heavyweight tag titles. Michael Elgin vs. Cody (Rhodes) is also set for Dominion.